Amazonite is a harmonising stone; balancing the masculine and feminine, the physical and the etheric bodies, and allowing for the two side of an argument to be understood. It is considered a stone of personal truth, synchronising intuition with intellect and since it relates to the throat chakra, it gives voice to these truths. 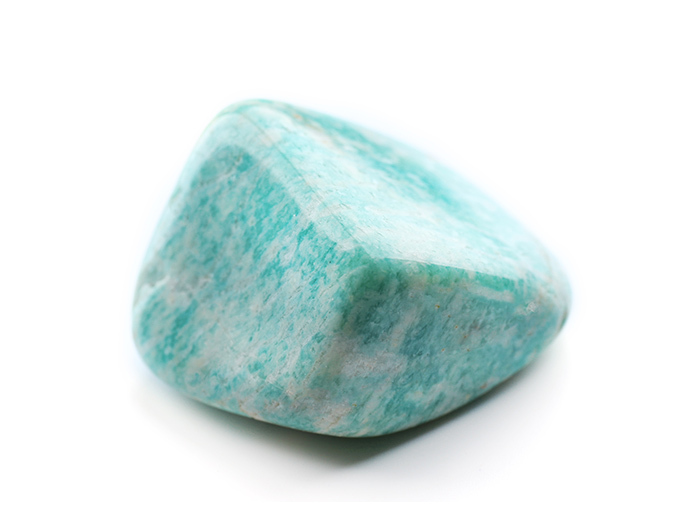 Holding amazonite while affirming aloud your mantra is recommended for this reason. It increases self-esteem, especially in women, and reduces tendency to self-neglect. It is said to diminish stress, heal trauma and transform angry energy into positive action. Also a stone for the heart chakra, encouraging the manifestation of universal love.